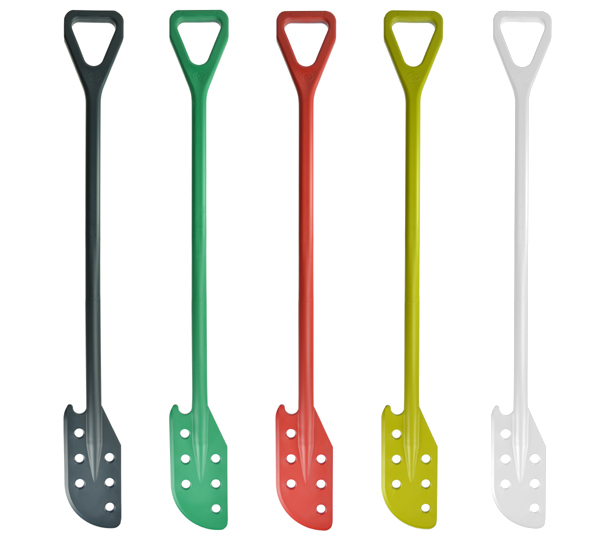 Detectable Hygiene Shovels & Paddles are specifically developed for the food processing industry. 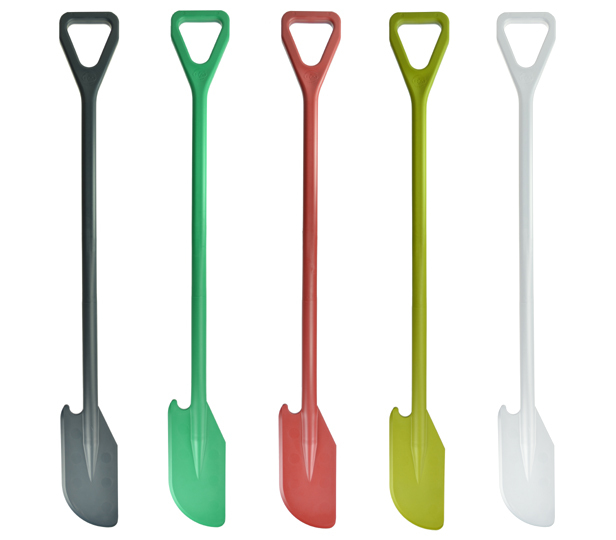 The detectable hygiene shovels and paddles are produced from a specially formulated material based on high impact food contact approved polypropylene. Each product is virtually unbreakable, lightweight, easy to clean and store, has excellent wear resistance whilst reducing the risk of damage to floor surfaces and machinery. 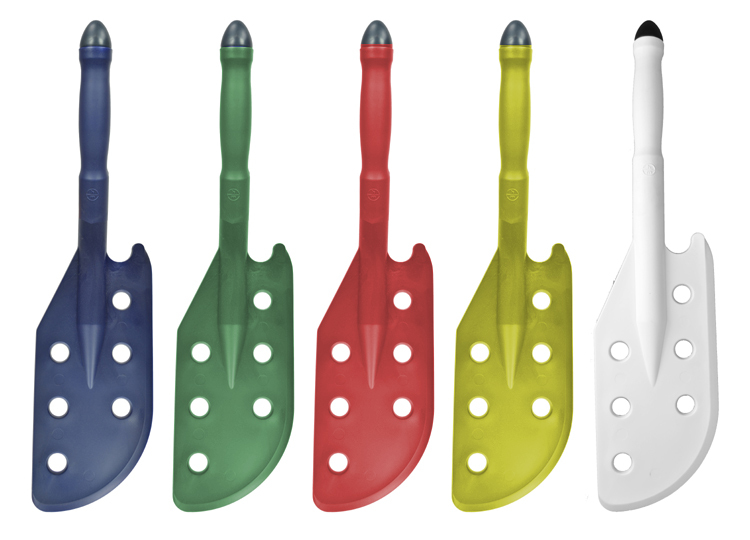 Manufactured to the highest specification and standards expected by the food industry worldwide, the one piece shovel is a single piece of solid detectable polypropylene and is the ultimate in hygienic control. Available with both standard or large blade. 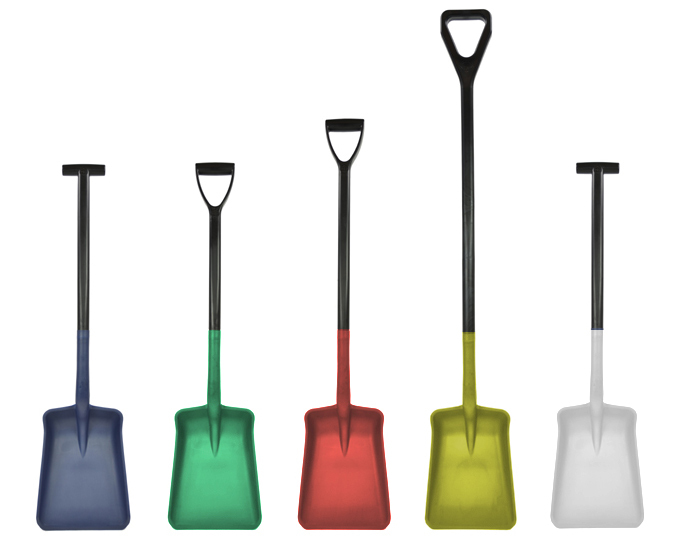 Specifically designed with hygiene as a priority, the two-piece shovel indicates a mode of construction only; all shovels are supplied fully assembled and permanently bonded and sealed to minimise germ traps. All blades can be supplied with 'T', 'D', extended 'D' and super extended 'D' grip handles. 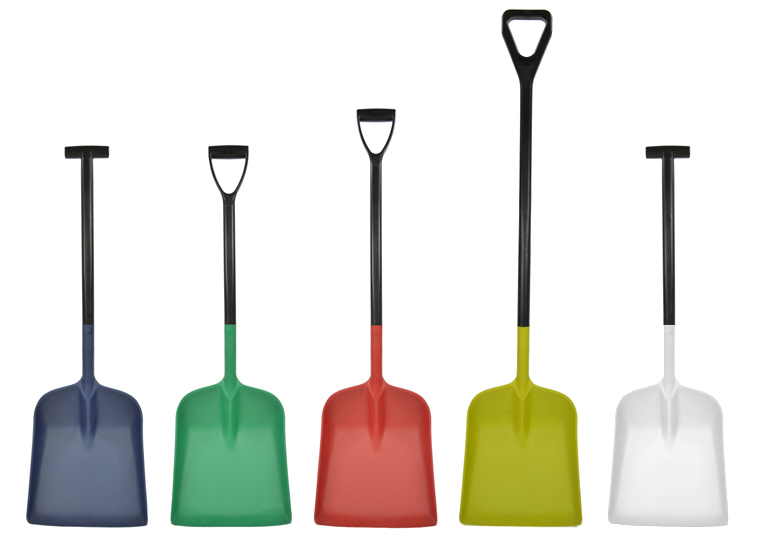 Alternatively they can be fitted with an end cap to form a strong and effective hand shovel. Small hand shovel with reinforced detectable flared blade. A must have versatile tool designed specifically for food and hygiene uses. Small detectable flared blade and solid reinforced shaft. 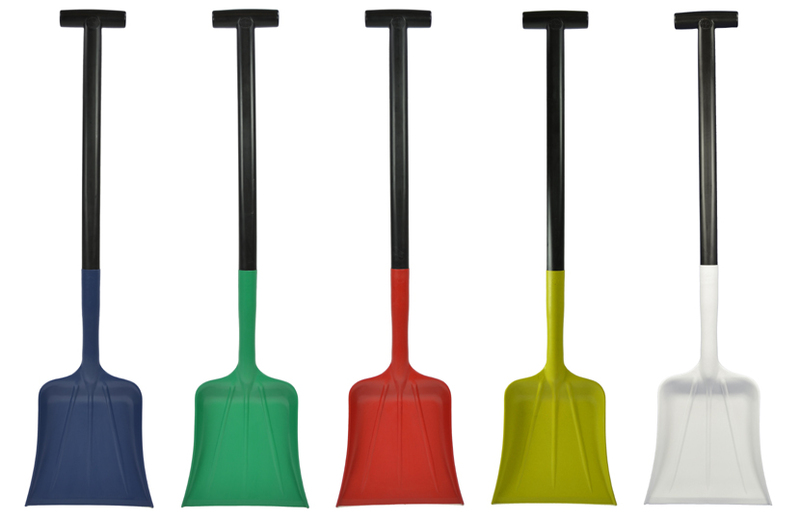 Solid reinforced shaft guarantees strength and durability making this shovel virtually unbreakable. 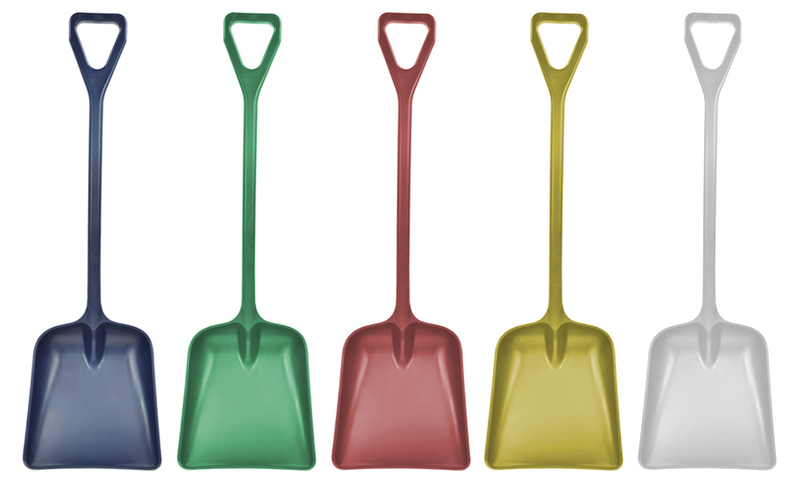 The standard detectable blade and solid reinforced shaft ensure that this shovel is lightweight, durable and easy to clean. 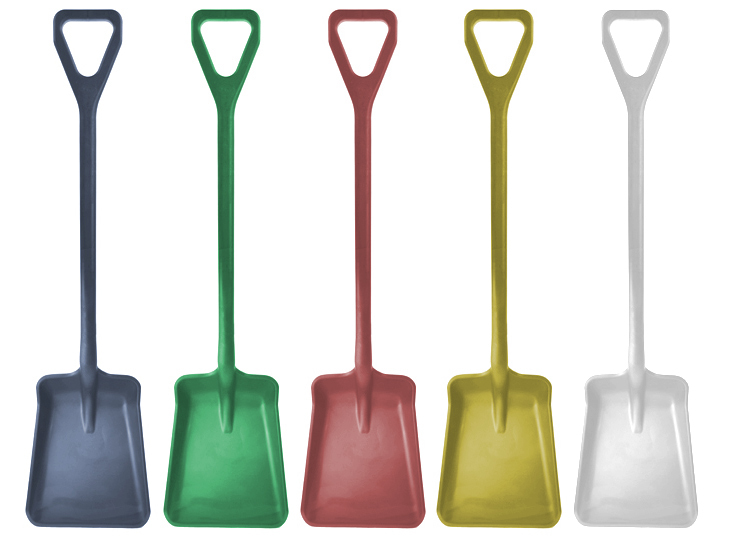 A great all round shovel. Extended and super extended shafts available for jobs requiring extra reach. Large detectable blade shovel designed to handle bulky (but lightweight) foodstuffs and materials. 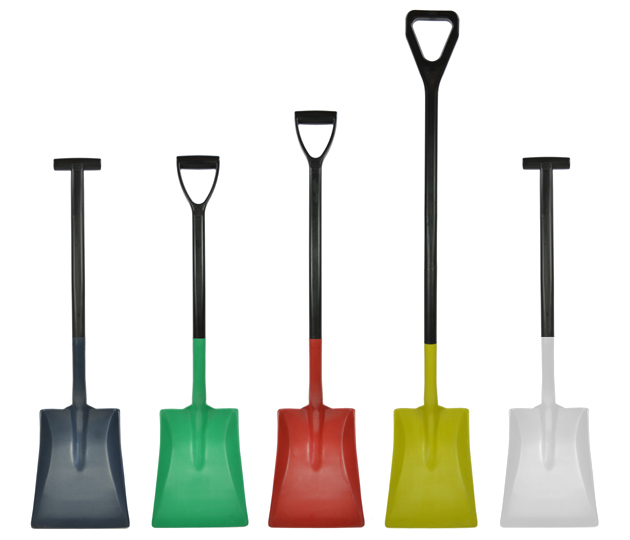 With a bonded, solid reinforced shaft this shovel makes light work of the heaviest jobs. Extended and super extended shafts available for jobs requiring extra reach. Deep pan standard detectable blade provides extra depth and capacity without being unwieldy. 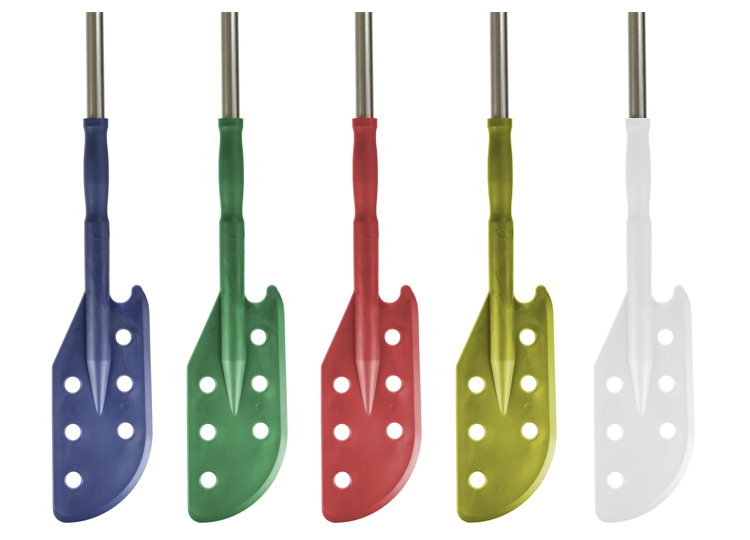 Designed to accommodate a range of applications our paddles are effective in both liquid and solid materials. One piece paddles are available with or without holes in the paddle head. Single piece moulding in solid polypropylene suitable for temperatures -30 + 80.